Clothing/Jewelry Description A red long-sleeved zippered windbreaker, a brown bandana halter top, navy blue shorts with plaid cuffs, tan leather shoes and a red hair ribbon. The clothes had attached nametags. Possibly carrying a black zippered purse containing photos of her friends. Distinguishing Characteristics Caucasian female. Light brown hair, blue eyes. Although her given name is Constance, almost all agencies refer to her by her nickname, Connie. She was tall and well-developed in 1952 and looked older than her age; she may have grown tall in adulthood. She is very nearsighted and is supposed to wear eyeglasses, but hers were broken when she disappeared. She would be unable to read without her glasses. Connie was very suntanned at the time of her disappearance, and her eyeteeth were just erupting. She has a slight scar under her right nostril. Connie resided in Wyoming at the time of her disappearance; her grandfather was a governor of that state. She was spending part of the summer of 1952 at Camp Sloane in Salisbury, Connecticut. She had an altercation with a group of female campers during the morning of July 16, 1952 and her nose was bloodied from the incident. Connie told her tent mates that she was skipping breakfast that morning and was walking to the camp dispensary, where she planned to drop off an ice pack she'd used the previous evening when she fell out of her tent and bruised her hip. She left the ice pack in her tent and never went to the dispensary; instead, she walked away from the camp and down Indian Mountain Road. Connie was seen picking daisies along the roadside and asked several people how she could get to Lakeville, Connecticut, about half a mile from Camp Sloane. She was apparently homesick and with only one week left of her stay at Camp Sloane, she decided to leave the premises. Connie was last seen walking on U.S. Route 44 in Salisbury later in the day. She had her thumb out and was apparently attempting to hitchhike, perhaps to Lakeville. She didn't have any money or extra clothes with her. Connie was never heard from again. Camp counselors discovered Connie was missing in the afternoon hours when they found the dispensary ice pack still inside her tent. An extensive search did not produce any clues as to her whereabouts. There have been many suspects in Connie's disappearance throughout the years, but no one has been charged in her case. One theory is that she attempted to run away from camp and go to one of her parents, who were divorced. Neither of her parents saw or heard from her after her disappearance, however. Her mother last saw Connie when she visited her at camp two days before her disappearance; Connie was in good spirits at the time and asked for permission to stay at the camp longer, but she didn't seem to mind when her mother said no. One of the possible suspects is William Henry Redmond, a former carnival worker who was charged with murdering an eight-year-old girl in 1951, one year prior to Connie's disappearance. A photo of him is posted with this case summary. In the 1980s, Redmond allegedly told another prison inmate he had killed four people during his lifetime. He was eventually sent back to his home state of Nebraska when it was determined that he was too ill to stand trial for the 1951 murder. He died in 1992. 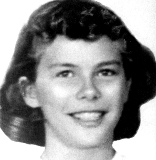 Authorities have been unable to determine if Redmond was in the Connecticut area in 1952 at the time of Connie's disappearance and he passed a polygraph test concerning her case. 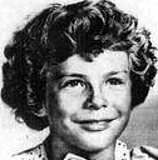 He is still considered a possible suspect in the 1951 disappearance of Beverly Potts from Ohio. Connie was well-traveled and got on well with adults as well as children in 1952. She loved animals, especially horses. Her grandfather and both her parents are now deceased, her father dying as recently as early 2012. Her case remains unsolved. Updated 6 times since October 12, 2004. Last updated November 9, 2013; details of disappearance updated.